Akpunonu, the Vice Chairman, Association of Nigerian Licensed Customs Agents (ANLCA) made the appeal in an interview with the News Agency of Nigeria (NAN) in Lagos. She said that a major problem facing freight forwarders was the delay in positioning containers for examination at the terminals. ``Booking for your container to be positioned for examination has become too cumbersome. ``Before this time, agents could book their containers to be positioned for examination and make payment after the exercise, but that has changed. ``The terminal owners have made it compulsory that you make payment first before the examination, not minding the delay it is causing. ``As it runs into upward of seven days, demurrage mounts and you have to pay it both ways; that is, to the terminal owner and to the shipping company. 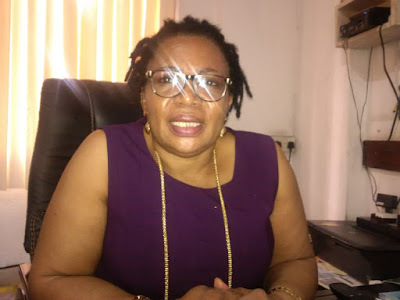 ``For trade promotion, the Federal Government, through the transport minister, should look into the port concession agreement because services ought to be better than what we get today,’’ Akpunonu said. She said many freight forwarders had moved their operations to neighbouring countries as a result of the increasing cost of doing business in Nigerian ports. Akpunonu said if the problems were not resolved immediately, it could force more people to move to neighbouring countries where their ports had become highly competitive. She urged the Nigerian Shippers’ Council to live up to its responsibility as the ports economic regulator to make the nation’s ports competitive.